People have been wondering about what is under construction in a prime Boquete downtown location. 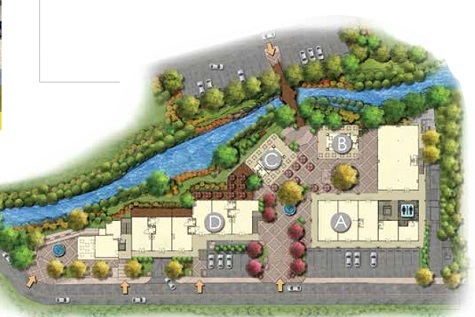 Well, here it is…. 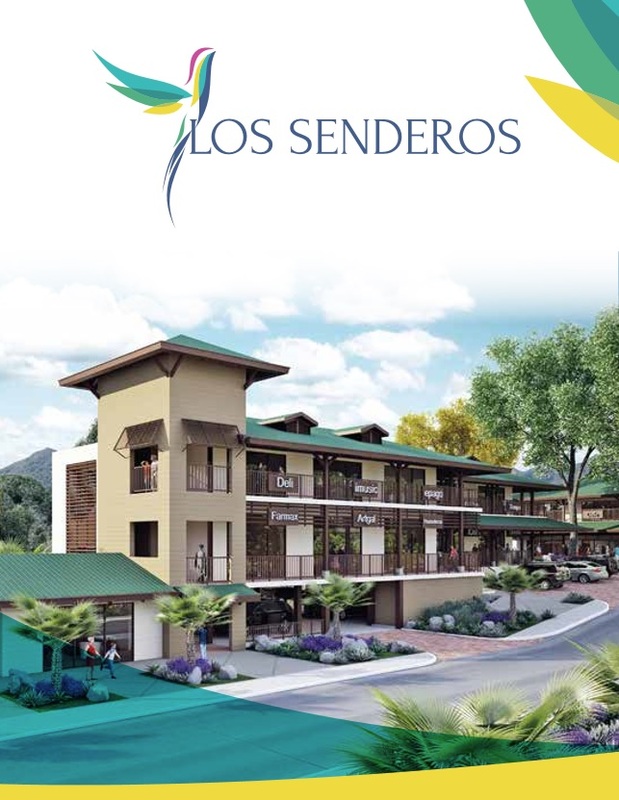 Los Senderos, an impressive commerical development on the former site of Boquete Country Inn. 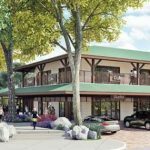 Economic development boost: This is another boon for Boquete; a substantial and attractive commercial plaza right in the middle of downtown. 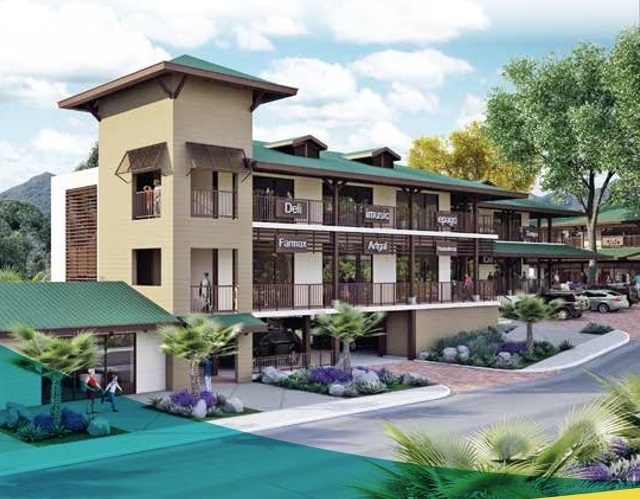 Even more restaurants, shops and fun things to do in an already thriving tourist mecca. 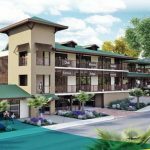 The developers describe their design as innovative and fresh with modern infrastructure, an outdoor commercial model, and an architectural style in keeping with the history of the mountainous region of the country. 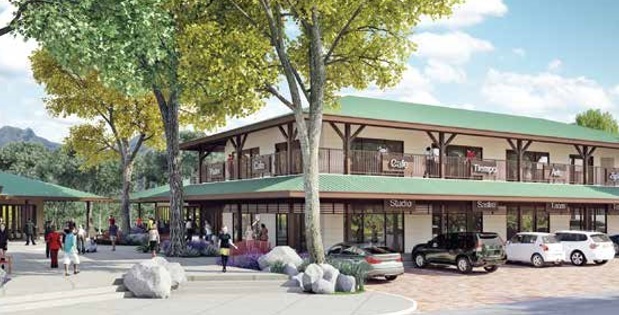 Built by an esteemed local family, there will be 37 commercial spaces and a very welcome 44 parking spots. 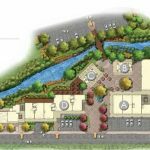 The land the project is on is over an acre with about 22,700 square feet of commercial spaces (2,110 Sqmt; 22,711.85). The property has a pretty stream in the rear. 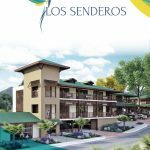 The location of Los Senderos is just a few blocks from Central Park, a block from Los Establos Plaza and across the main street from The Fountain condominium building.